NOTE: Public comments on both of the below referenced applications for commercial building permit and substantial shoreline development permit, including the SEPA Checklist therefor, must now be submitted to KC DPER by no later than March 11: Revised Public Notice re COMM18-0014 & SHORE18-0032 . According to KC DPER Permit Status Records, LI submitted a Building Permit application on October 2, 2018, that was assigned File No. COMM18-0014. Project Description: INSTALLATION OF HOT-MIX ASPHALT PLANT EQUIPMENT WITH PERMANENT STRUCTURES; EQUIPMENT INCLUDES AGGREGATE SORTING, DRYING AND MIXING EQUIPMENT, AIR EMISSIONS CONTROL EQUIPMENT, STORAGE SILOS, AND PETROLEUM STORAGE TANKS. BUILDINGS INCLUDE SILO FOUNDATIONS, CONCRETE SECONDARY CONTAINMENT STRUCTURE, COVERED AGGREGATE STORAGE BINS, FACILITY ADMINISTRATION OFFICE, SOUND WALLS AND BELOW GRADE STORMWATER DETENTION VAULT. For current KC DPER File No. COMM18-0014 status, please click on the following link (select “Status” in the “Record Info” dropdown menu): LI Commercial Building Permit . On November 6, 2018, Lakeside Industries submitted an application for a Shoreline Substantial Development Permit (DPER File No. SHOR18-0032) for the following project description: INSTALLATION OF HOT-MIX ASPHALT PLANT EQUIPMENT WITH PERMANENT STRUCTURES; EQUIPMENT INCLUDES AGGREGATE SORTING, DRYING AND MIXING EQUIPMENT, AIR EMISSIONS CONTROL EQUIPMENT, STORAGE SILOS, AND PETROLEUM STORAGE TANKS. BUILDINGS INCLUDE SILO FOUNDATIONS, CONCRETE SECONDARY CONTAINMENT STRUCTURE, COVERED AGGREGATE STORAGE BINS, FACILITY ADMINISTRATION OFFICE, SOUND WALLS AND BELOW GRADE STORMWATER DETENTION VAULT. For current KC DPER File No. SHOR18-0032 status, please click on the following link (select “Status” in the “Record Info” dropdown menu): LI Shoreline Substantial Development Permit . The GMVUAC will endeavor to keep abreast of further events in this matter and publish relevant information here as such becomes available. 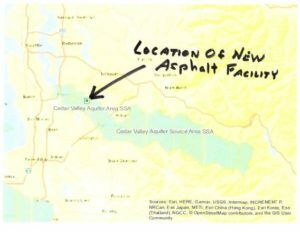 By letter dated May 4, 2018, the Washington Chapter of the Sierra Club submitted a letter to the KCC “expressing its major concerns regarding the proposed move of an Asphalt Facility to a site along SR 169 across from the Cedar River.” The Sierra Club’s letter is reproduced here with its express permission: Lakeside asphalt facility-Sierra Club Ltr . Answering a query that is posed from time to time as to how many I-zoned parcels are located in unincorporated King County, both inside and outside of the Urban Growth Area Boundary, King County’s DPER produced a definitive report regarding this subject in 2015 as part of the KC Council’s Moratorium Ordinance # 17893 (1 year moratorium on development of isolated industrial parcels). The DPER found that there were 29 I-zoned parcels in unincorporated King County, of which only 1 met the restrictive definition of ‘isolated’. 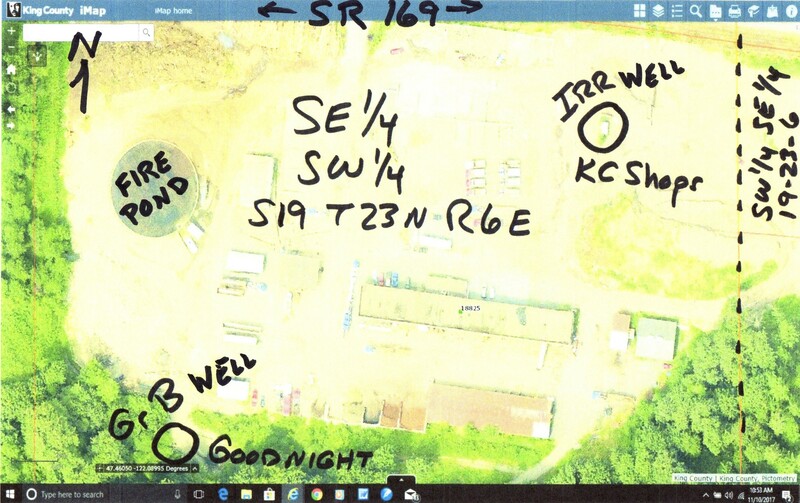 In any event, the DPER report depicts all I-zoned property and the results of its study — you may view this report here: Isolated Industrial Parcels in Unincorporated King County – March 6, 2015 . On April 30, 2018, by and through their legal counsel, Bricklin and Newman LLP, the Citizens to Stop SR 169 Asphalt Plant submitted to the KC Council their letter in opposition to the proposed Asphalt Facility and to the expiration of the 6-month Moratorium. With the express written permission of this citizens’ group, you may read their letter here: 2018 04 30 Citizen Group’s Letter to KCC . By letter dated April 17, 2018, the Cedar River Council (CRC) requested that the KC Executive and certain KC Council Members consider and respond to issues raised by public attendees at prior CRC meetings regarding and relating to the proposed SR 169 Asphalt Facility. On April 25, 2018, the CRC’s Coordinator Nathan Brown III emailed GMVUAC the following copy of this correspondence for posting on our website; the CRC’s letter may be viewed here: CRC Letter to KC 4-24-18 . If you wish and with no particular endorsement thereof, we invite you to visit the area homeowners’ website at www.noasphalt.com for information on how you can help this group in their efforts undertaken to oppose the use of this site for the construction and operation of a new Asphalt Facility. The King County Shops site has been listed on Ecology’s Confirmed & Suspected Contaminated Sites (CSCS) List as a site known to be contaminated (in both soil and groundwater) since 1998 with the status of “cleanup started”. This means that some type of remedial action has been conducted. In this case it was a tank removal and interim cleanup action conducted prior to February 1998. All sites listed on the CSCS List are required by MTCA to follow the cleanup process, although there is no deadline in the regulation. Ecology’s Northwest Region has over 2,200 cleanup sites that are either awaiting cleanup (no cleanup actions done) or cleanup started status, and are not under Ecology oversight. King County Shops is one of those sites. It is very common (and acceptable) for site owners to conduct cleanup activities independent of Ecology oversight. Once the cleanup is completed, and if the owner/operator wishes to receive a No Further Action (NFA) Opinion, they may apply to Ecology’s Voluntary Cleanup Program (VCP) or *PLIA’s PTAP and request an NFA. If an NFA Opinion is not desired, there is no obligation to enter the VCP or PTAP. Farallon’s discussion of the VCP in their 2016 Notification Letter is simply to inform Ecology of their plans. Because we have not received an application to the VCP for this site, it is likely that either the cleanup is not completed yet or they have changed their plans to request an opinion through VCP. On February 28 the Greater Maple Valley Unincorporated Area Council (GMVUAC) submitted for your consideration a detailed point-by-point rebuttal of the subject 3-mo Cedar River Sites Industrial Moratorium (CRSIM) Study — part of the subject 6-mo Ordinance 18611. Below please find a brief synopsis for your convenience. The construction of a new industrial use (i.e., a use other than continuation of a pre-existing use and that is not vested) such as a new asphalt facility on the old Sunset Materials’ Cedar River/SR 169 site is outright prohibited as a matter of fact and law by King County Comprehensive Plan Policy R-513: “. . . Other new industrial uses in the Rural Area shall be permitted only in Rural Towns and in the designated industrial area adjacent to the Rural Neighborhood Commercial Center of Preston” (emphasis added). This key Policy and its mandate were never addressed by DPER in its CRSIM Study required under Council Ordinance 18611, and, if it had been, the one and only recommendation DPER and the King County Executive could make is that, regardless of the Industrial zoning of the SR 169 parcel, Lakeside Industries’ proposed construction and operation of a new industrial facility (e.g., an asphalt plant) on this site is prohibited. [See Concrete Nor’West v. Western Washington Growth Management Hearings Board, 185 Wn. App. 745, 755-56, 342 P.3d 351; review denied, 183 Wn.2d 1009 (2015): ”Once a comprehensive plan is in place, the GMA gives effect to the plan’s provisions by requiring that “[e]ach county and city that is required or chooses to plan under RCW 36.70A.040 shall perform its activities … in conformity with its comprehensive plan.” RCW 36.70A.120. This provision thus turns the failure to conform to a comprehensive plan into a GMA violation that the Board may remedy.”]. We seek the King County Council’s rejection of the recommendations of the CRSIM Study and enforcement of the provisions of KCCP Policy R-513. We further recommend the Council refer to the Hearing Examiner the matter of rezoning the site back to its original RA-5 land use and zoning designations pursuant to the manner in which the Council has interpreted KCCP Policy R-515 as set forth in Council Ordinance 18611, § 1(J). Should you have any questions about our detailed submittals on this subject or the synopsis herein, please do not hesitate to contact the undersigned. We will discuss any of these matters with you at your convenience. Thank you for your time and consideration of these matters important to so many members of the Public. On February 28 the GMVUAC formally submitted its comments regarding the Cedar River Sites Industrial Moratorium Study that was prepared by KC DPER in response to the King County Council’s Moratorium imposed pursuant to Ordinance 18611. GMVUAC Response to CRSIM Study_02 28 2018 Under UPDATES (below), we have posted additional historical information (also referenced in our comment letter) relating to the SR 169 property and its rezone from Rural to Industrial by the King County Council as part of its 2008 Comprehensive Plan update (compare with the 2004 Comp Plan as proposed to be amended by a special Docket Request #16 submitted in 2006, and the subsequent Area Zoning Study in March 2008 that recommended this rezone request was unnecessary, unsupported, and should be denied — nevertheless, the KC Council approved the rezone of this site to Industrial via Map Amendment #31 in the 2008 Comp Plan). King County Executive has released the Area Zoning and Land Use Study required under Moratorium Ordinance 18611. Read the Study and Transmittal Letter here: Cedar River Sites Industrial Moratorium Study Transmittal Letter . The GMVUAC submitted a detailed comment letter to King County dated February 28, 2018: GMVUAC Response to CRSIM Study_02 28 2018 . The GMVUAC has reviewed the proposal by Lakeside Industries (LI) for a grading permit (GRDE17-0069) to prepare its property located at 18825 SE Renton-Maple Valley Rd (SR 169 — site of the old Sunset Materials operation and the former King County Shops) for development as an asphalt facility. This facility currently is located in the City of Covington (within the Urban Growth Area) and LI plans to move it to the Rural Area in unincorporated King County. The GMVUAC sees this as placing urban-serving facilities in the Rural Area, primarily to take advantage of relatively cheaper land. 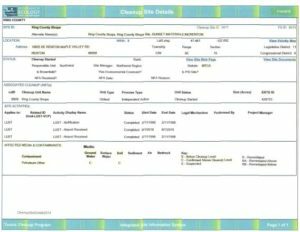 Information on this permit application can be found at this link: http://www.kingcounty.gov/depts/permitting-environmental-review/info/SpecialInterest.aspx. The King County Department of Permitting and Environmental Review (DPER) contact is Fereshteh Dehkordi, Senior Project Manager, 206-477-0375 or fereshteh.dehkordi@kingcounty.gov. Thousands of citizens in the vicinity of the site have protested and communicated with the King County Council their concerns. The GMVUAC, as part of its November 2017 monthly meeting, discussed this proposal along with others to an overflow crowd of nearly 100 concerned citizens. Further, the King County Council instructed the King County Executive to conduct a 3-month Study of “the rural industrial uses permitted in close proximity to the Cedar River” and to evaluate “whether the land use designation and zoning for identified rural industrial land use parcels is still appropriate and consistent with applicable laws, regulations and adopted policies and adequately addresses the impacts and concerns” and to identify “development regulation or map changes, or both, that would address the impacts and concerns.” The full King County Council Moratorium Ordinance No. 18611 can be found below in UPDATES. Representatives from Lakeside Industries attended our December 4 monthly meeting and made a formal presentation of their asphalt plant plans and discussed this matter with the Council and members of the public in attendance. The GMVUAC will be following this process and will post updates here.